Glasgow Prestwick Airport has been providing aviation services to the military for almost 80 years. With no PPR or slot restrictions, Glasgow Prestwick Airport offers the perfect location for crew rest, fuel stop and training for any size of aircraft at any time of the day. 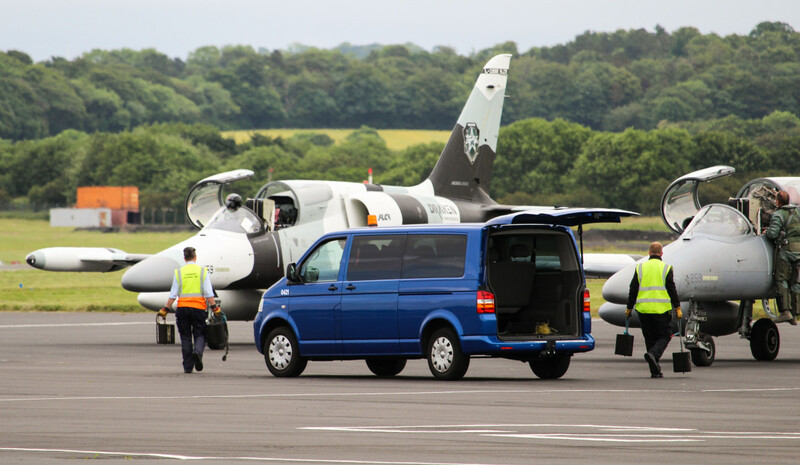 Glasgow Prestwick Airport offers a dedicated and discreet military FBO located within a few meters of the apron with highly skilled staff on duty 24 hours a day, 7 days a week. Facilities include rest areas, washrooms, lounge, briefing rooms, complimentary refreshments, entertainment areas and Wi-Fi. Flight plan & weather packages are also available. A dedicated customs & immigration facility is located adjacent to the FBO. The airport is able to offer the full suite of ground servicing equipment – including steps, ground power unit, towing, baggage handling, cargo handling, de-icing and much more. Several large self-maneuvering parking areas are available close to the FBO which can accommodate all aircraft up to C5M and AN225 size. 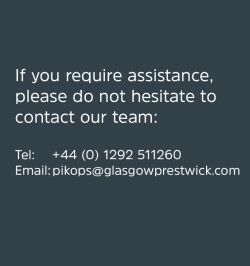 Given Glasgow Prestwick’s location, we offer the perfect solution for trans-Atlantic fuel stops specialising in quick turns for aircraft of all sizes. We provide JETA1 & AVGAS100LL in-house and can provide fuel through most major suppliers including: World Fuel services, Multiservice, AVCARD, AVFUEL, Colt International, UVAir, BP Sterling, AEG Fuels, JETEX and Rockwell Collins. Glasgow Prestwick Aviation Services have preferential crew rates with local and city centre hotels. We would be delighted to assist arranging crew rooms and ground transportation on your behalf.